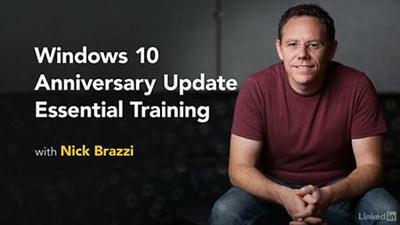 Lynda - Windows 10 Anniversary Update Essential Training (2017) | Free eBooks Download - EBOOKEE! Posted on 2017-05-09, by everest555. Learn the essentials of Windows 10 operating system, including the newest features included with Microsoft's Anniversary Update. 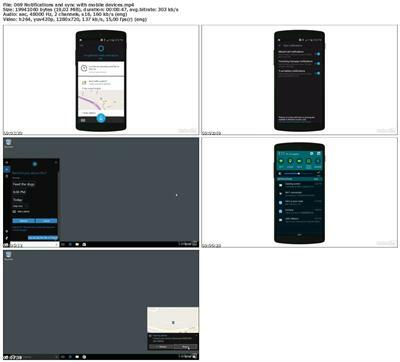 Nick Brazzi shows how to install Windows 10, work with the built-in applications, manage files and folders, use Cortana to search, browse the web, and work with mail, calendar, and your contacts. Want to extend Windows? Learn how to find and install new apps from the Windows Store and customize your display preferences and account settings so your PC works perfectly for you. Finally, find out how to back up and restore Windows in case of computer failure, recover missing files, and use Windows Defender to protect yourself against malware such as viruses and spyware. Stay tuned! We'll be adding more movies to this course soon. No comments for "Lynda - Windows 10 Anniversary Update Essential Training (2017)".